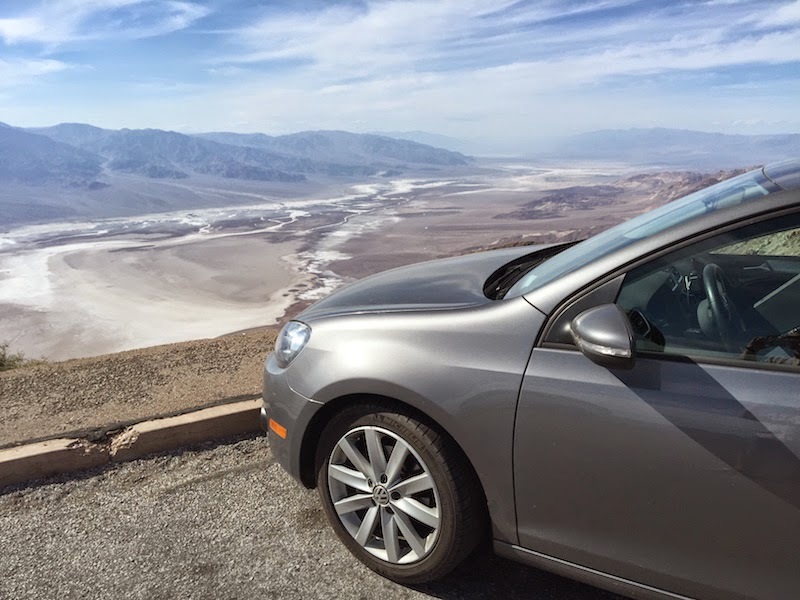 I spent the day driving from Bakersfield to Las Vegas the long way -- and the hot way! 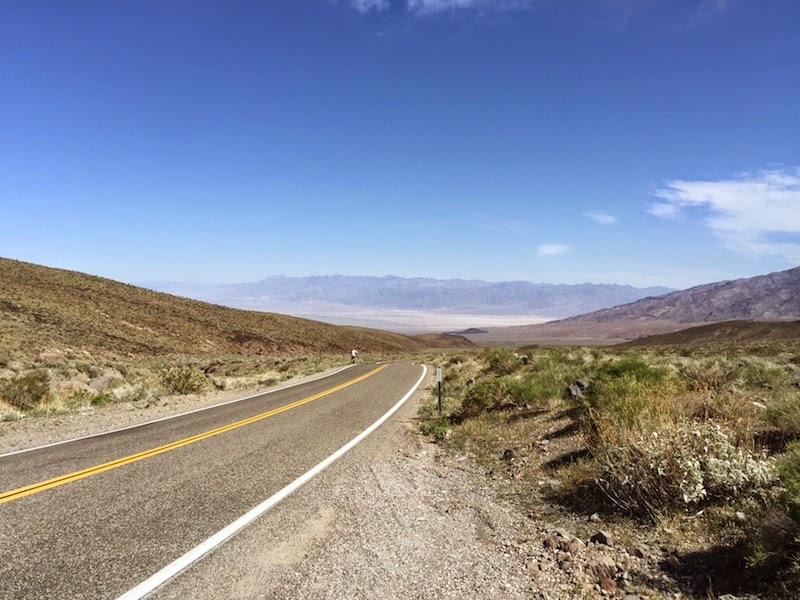 Here are my pictures from my scenic drive through Death Valley. I followed the scenic drive as seen in National Geographic Guide to Scenic Highways and Byways, 4th Edition: The 300 Best Drives in the U.S. The book suggests starting at Olancha. Since I was traveling from Bakersfield, that worked perfect for me, and I topped off my tank in Pearsonville before starting the scenic drive. Owens Lake used to be full of water, but nearly 100 years ago it was diverted to Los Angeles. And with the epic drought currently going on in California, there's even less water than usual. 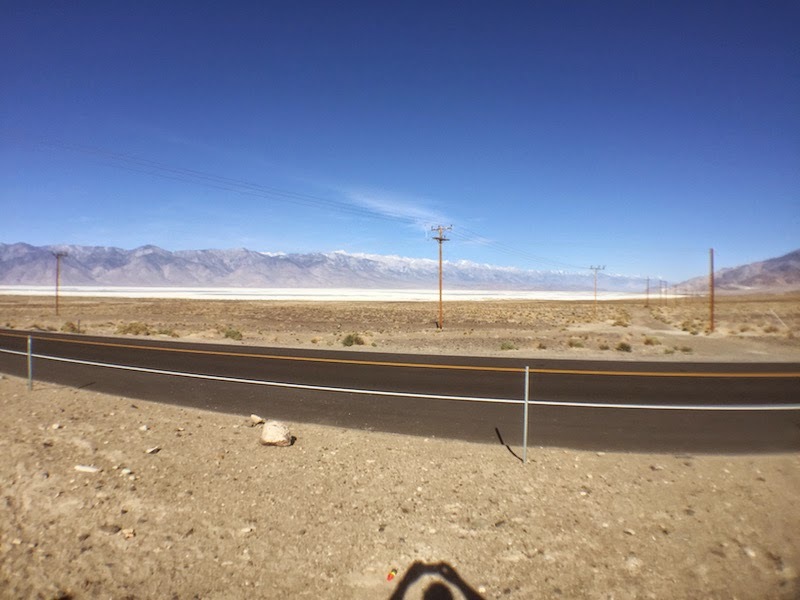 It is now called Owens Dry Lakebed. 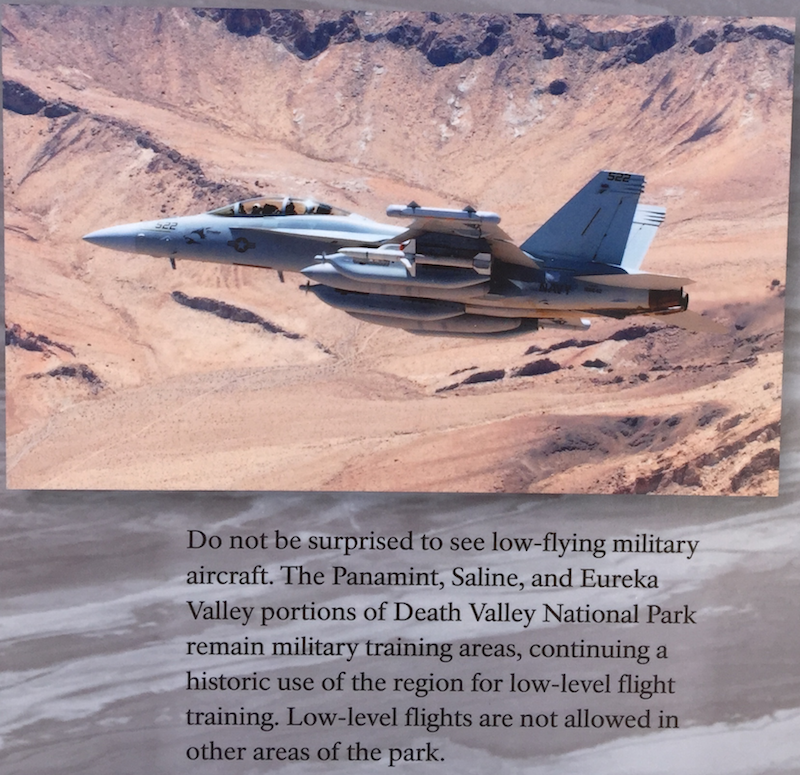 The highway goes through Saline Valley as you climb into the Argus Range, and the book says you might see jets flying low during pilot training. As luck would have it, I was buzzed by two jets in a row flying very low (my guess is 500 feet) and almost directly over my car in the narrow valley. It was pretty exciting! In a flash the jets were turning to avoid the mountains and on their way. 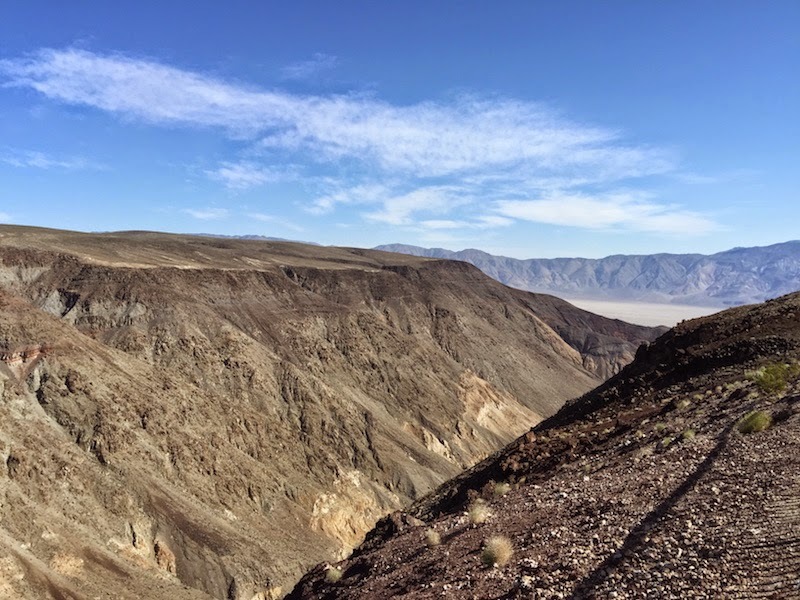 From the Argus Range you see into Panamint Valley, which at first might be mistaken for Death Valley. But that's over the Panamint Range in the background. 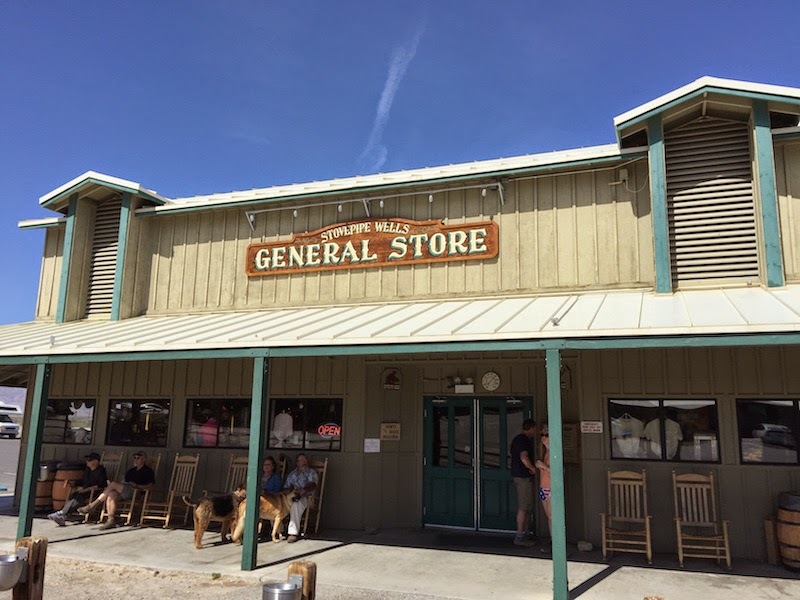 At Stovepipe Wells, you can purchase your park pass and supplies. 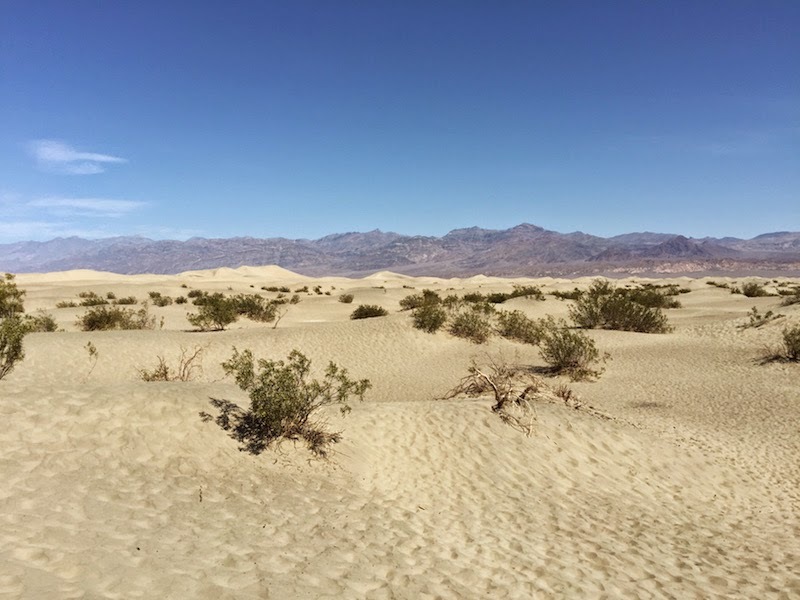 After leaving Stovepipe Wells, you arrive at a parking lot where you can get out and climb the sand dunes at Mesquite Flats. 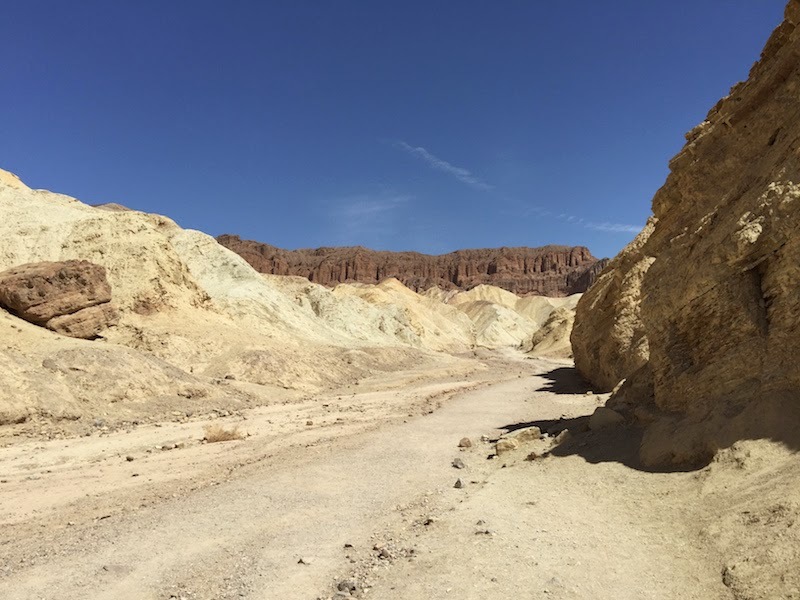 On the drive down to Badwater, you can stop at Golden Canyon. 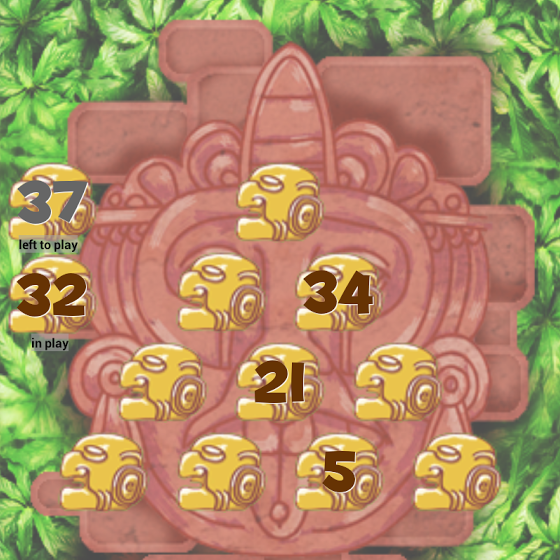 The rocks are bright yellow and green in some places. 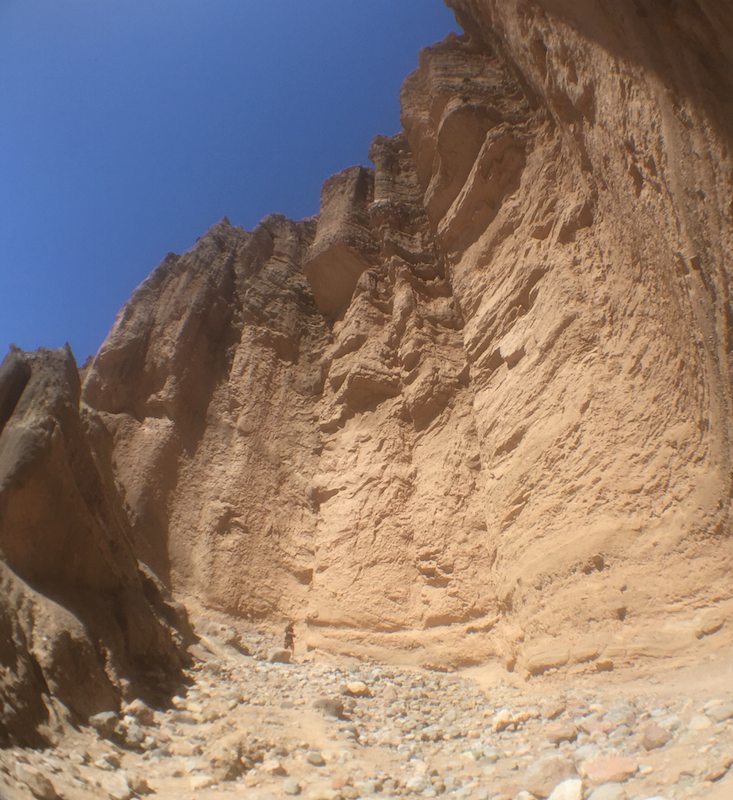 It's a good hike after all the driving, but it gets very hot in the narrow canyon between the rock cliffs. It was only March but it was 85 degrees (and seemed a lot hotter hiking uphill). 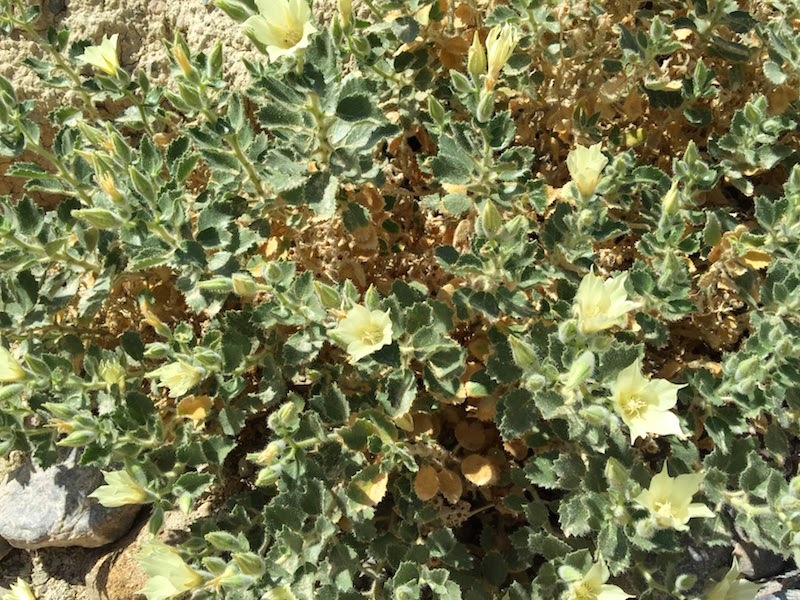 There's life in Death Valley, and I saw several flowering plants during my hike through Golden Canyon. After hiking one and a quarter miles up Golden Canyon (and squeezing between some rocks, too) you arrive at Red Cathedral. The view is not as dramatic as the feeling after the long uphill climb between the rocks. 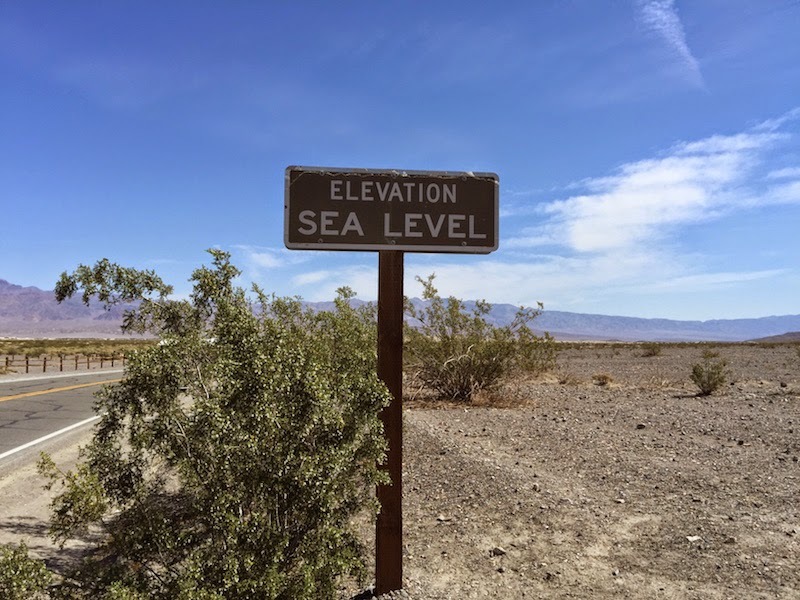 Continuing down the road takes you to Badwater, which is the lowest point in North America at 282 feet below sea level. 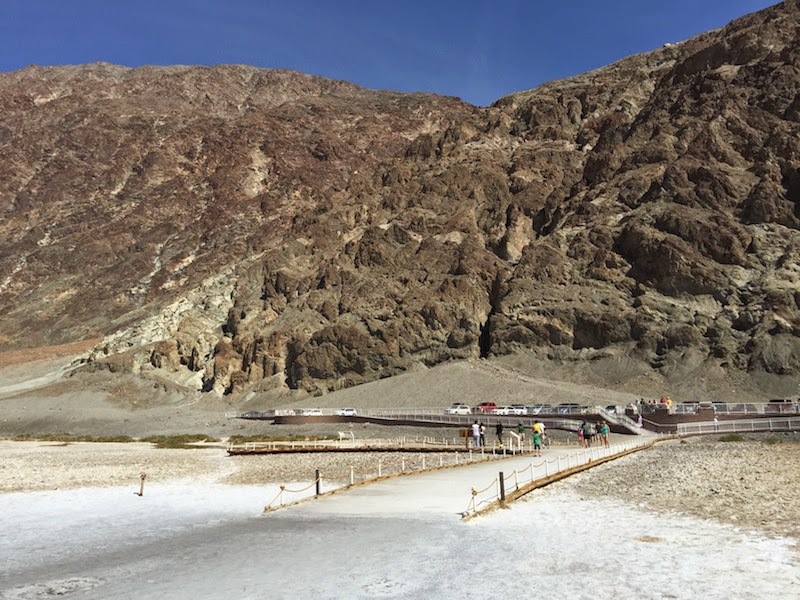 Here you realize that Death Valley is a basin that drains into salt pans. And it's even hotter than the rest of the valley -- it was 90 degrees in March, and it seemed a lot hotter since there is no shade anywhere other than your car, and the salt and sand are reflecting the light and heat. 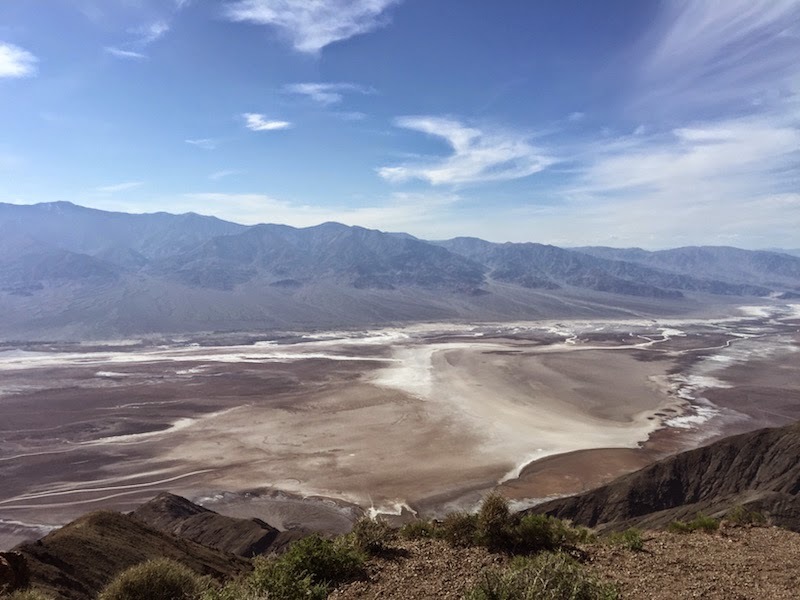 From Dante's View, you can look down and see where you were standing at Badwater. You also see just how big Death Valley really is -- it's over 5,000 square miles! TIP: Give yourself a full day to take the drive described in the book. The book suggests three hours but I spent eight hours and still had to skip several of the stops. 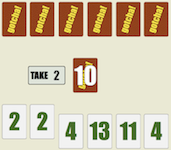 Or, enter the park from the south and visit Badwater first, and then drive to Dante's View so that you can see the best spots first, and decide how much time you have left for the other stops.